Plastic surgeons give advice, assess customers' faces in an eatery's promotion. 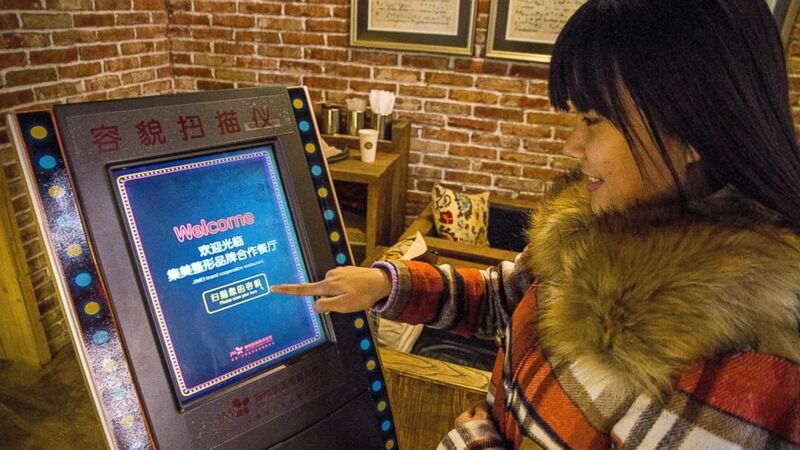 camera (Imaginechina/Corbis) A customer uses a face-scanning machine at a restaurant offering free meals to customers who earn high marks for their looks in Zhengzhou city, China, Jan. 11, 2015. 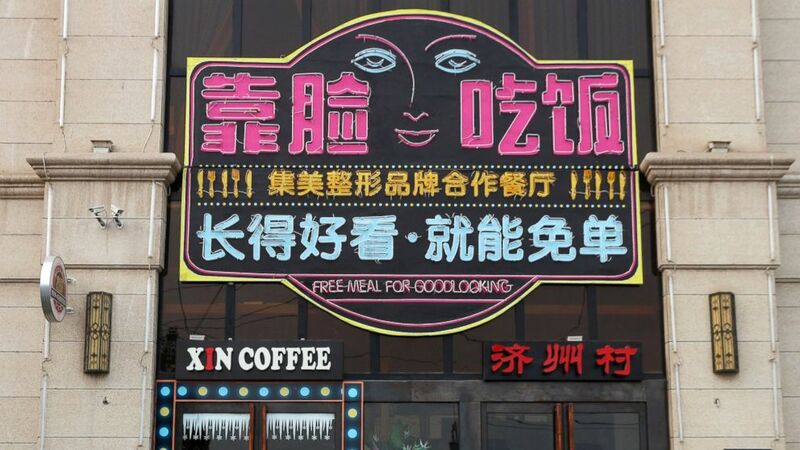 A restaurant in Zhengzhou, in central China, is offering a promotion that offers free food to "good-looking" customers only. At the Korean restaurant, called Jeju Island, a team of plastic surgeons assess the facial features of customers, who are photographed. Every day, the most "good-looking" visitors to the restaurant, according to the restaurant's sign, get a free meal. The promotion will reportedly end in mid-February, according to Chinese news service Xinhua. However, the promotion has faced opposition by some who accused the restaurant -- and its large sign -- of damaging the city's reputation, the Telegraph reported. Video shows the restaurant's billboard was taken down with a crane by local authorities who did not approve of it. (Imaginechina/Corbis) A view of a restaurant offering free meals to customers who earn high marks for their looks in Zhengzhou city, China, Jan. 11, 2015. Customers reportedly get advice on plastic surgery, according to information through the photo service Corbis. Every half an hour, about three plastic surgeons make the decision on the five customers who are scored on their appearance, according to Corbis, and the scoring focuses on four categories, namely, face, eyes, nose and mouth. 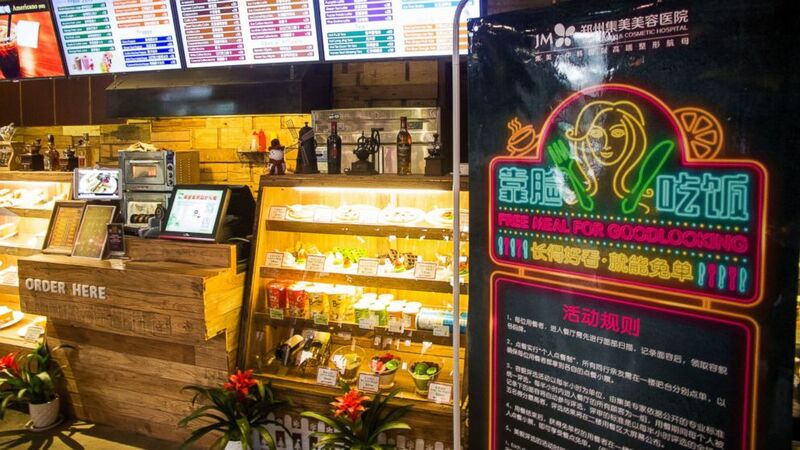 (Imaginechina/Corbis) A sign is displayed at a restaurant offering free meals to customers who earn high marks for their looks in Zhengzhou city, China, Jan. 11, 2015.